The Dazzling Duo concert featuring Antonio Pompa-Baldi and Emanuela Friscioni, pianos has been rescheduled from February 2 to April 20, 2019. More details. Join us on Sunday, February 3 at 4:00 p.m. for The Great Quintets concert. 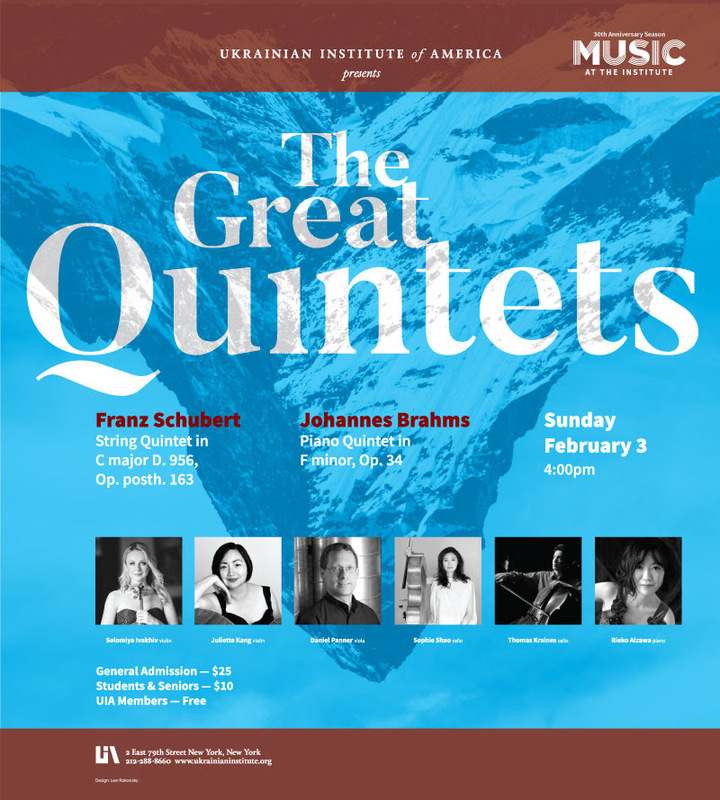 Sunday, February 3, 2019 at 4:00 p.m.
JOHANNES BRAHMS: Piano Quintet in F Minor, Op.34. General Admission $25, Students & Seniors $10, UIA Members free.